Exclusive Drawstring Bags - now available to order! Exclusive Drawstring Bags – now available to order! We’re delighted to announce our new & exclusive Drawstring Bags are ready to order! 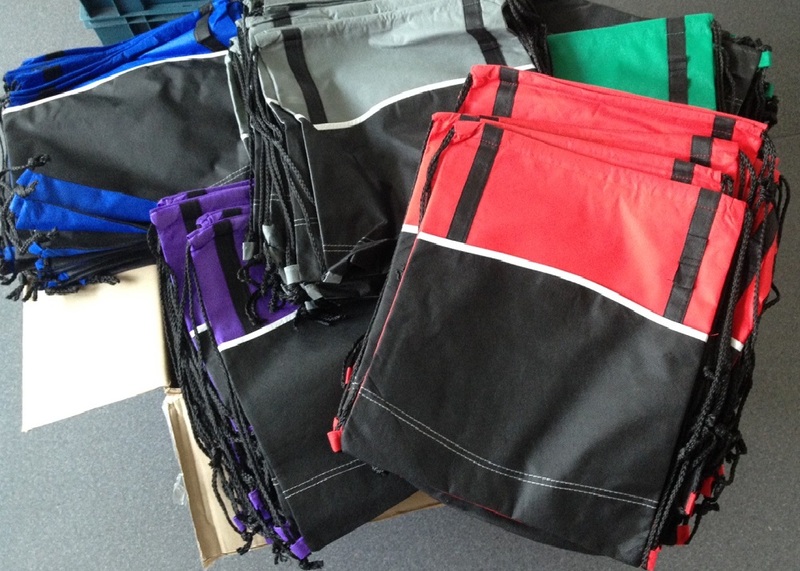 Available in 5 colour options the Boardwalk Drawstring Bag is lightweight yet sturdy and is made from non-woven polypropylene. Each with a bold black front panel with an open front pocket, coloured back, black draw cords, white piping and stitch detail. As we designed the bag ourselves we’ve added in a few fantastic extra touches such as two pen loops on the front black stripe so recipients can keep a couple of pens to hand! And what’s more we’ve launched them at a super special price that includes a 1 colour print to the front of the bag. Spot your guys (and your printed drawstring bags) amongst the crowds!